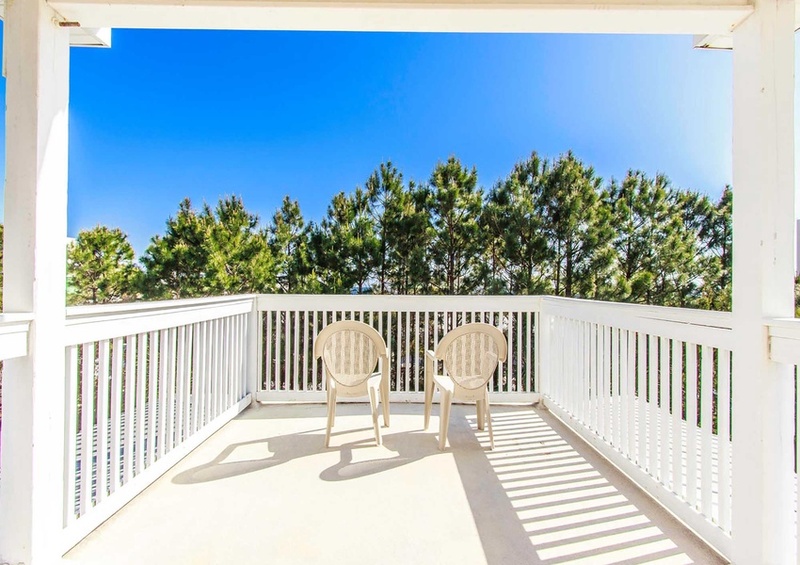 Come and have a blast at the beach in Bananarama ~ Vacation Home in 30A by Southern! Peel away from the stresses of life and enjoy a relaxing vacation in this five bedroom, three bathrooms, 2,500+ sq. ft home in 30A! The beach is a mere two blocks away and during your stay, the water will never be further than just your backyard. A large privacy fence surrounds the pool and large lounging area. Through the front doors of the home are the open concept living room, kitchen, dining room, and master bedroom. Generous seating and bright natural light permeate throughout. The dining room table is located parallel to the wall with tall windows allowing for pleasant morning breakfasts with your family and friends. The kitchen is decorated with all stainless steel appliances and plentiful cupboard space. The remaining room on this floor is the master bedroom featuring an en-suite bathroom. The master bathroom features a double vanity, large garden tub, and walk-in shower. The second floor is host to three additional bedrooms. The second and third bedrooms feature full, en-suite bathrooms. The fourth bedroom is especially luxurious, as it hosts a larger en-suite bathroom.The second floor also features a wrap-around porch giving each bedroom an access and bright natural lighting. Head up the stairs for the third-floor tower room, complete with a bunk room, a wet bar, and separate entertaining area with a flat screen television. Don’t forget to really make this one for the books and add a local event to your dream vacation plans!